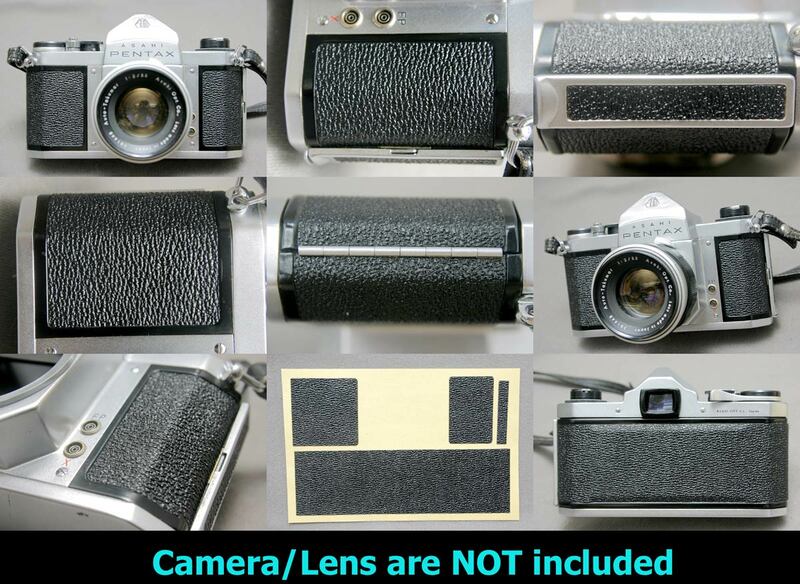 This is Pentax S2 Custom covering kit for . (This is NOT genuine kit supplied by Pentax). Here are sample photos of Shark Skin Style Emboss. This leatherette surface pattern is rather similar to the original. Please ask us for other colors or materials. Camera is NOT included in this kit. The Price is per 1 kit. Please Click Here to install guide page. above guide page is for Canon-7 but the process is almost the same.